In 2009, Brian Daniels started writing a humorous commentary newspaper column and blog, Thoughts of an Average Joe by Joe Wright. “So why the nom de plum, Brian,” some asked. Brian, not so fluent in French, initially thought his friends were badgering him about his hair-do. Once it was explained that “nom de plum” is French for “pen name”, he explained that Thoughts of an Average Brian just doesn’t have the same ring and, furthermore, creating a fictitious character allowed him to express ideas and opinions even more ridiculous than his own. Brian, in addition to being a performing storyteller, and musician, is an avid outdoorsman, a novelist, musician, and songwriter. 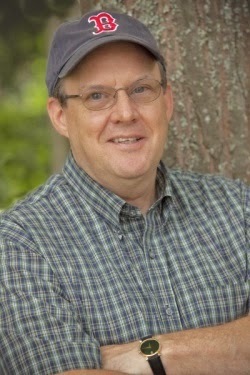 His first novel, Luke’s Dream, was released in January, 2011. His Average Joe series of books which include Thoughts of an Average Joe and It Seemed Like a Compliment to Me are published by Islandport Press. Brian, until his recent retirement, practiced optometry in Brunswick, Maine, where he lives with his wife, Laurene. He is also a retired U.S. Naval officer.